Katia heard the pitiful squeaking before she saw the minuscule furballs huddled beneath a bush in a garden. One gray and one black, both of the kittens had the same piercing blue eyes, bother of the kitten were meowing for their mother who was nowhere in sight. She waited by the kittens for the better half of a day before she realized that their mother probably wasn’t coming back for them. The weather was too cold for the kittens to survive the night, so she called a local shelter for help. 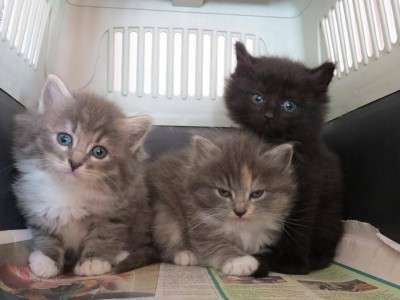 The kittens were estimated to be only 3 weeks old, and once they arrived to their foster home, were found to be severely malnourished under their fluffy coats. She fed them with a bottle for weeks, but slowly she found that they were growing steadily. Once they were able to begin eating soft food, they were playful and affectionate. At 10 weeks old, they were ready to be adopted…but their new foster mom just couldn’t say goodbye!She kept the kittens that she had raised practically since birth, watching them struggle to survive with passion and hope. She named them Tossia and Yuri, and they are most curious and the best of friends! 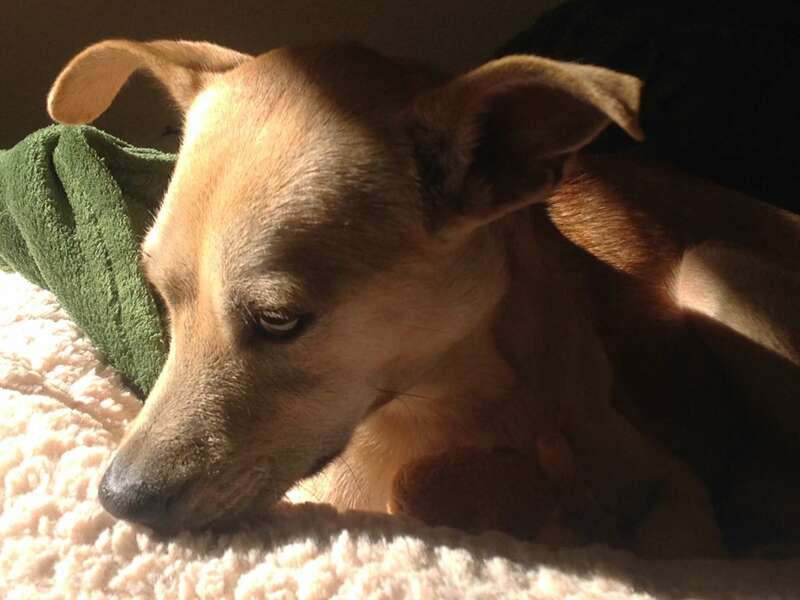 "Annie" abandoned in a storage shed. Malnourished and pregnant. Rescued from shelter only minutes before being killed.